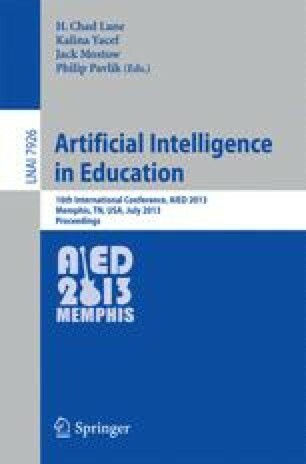 In this paper, we propose the provision of feedback in Intelligent Tutoring Systems in absence of a formalized domain model. In a Wizard of Oz experiment, a human tutor gave feedback to students based on sample solutions applying two strategies which aimed to encourage learners’ self-reflection. We discuss possibilities to automate the methods of feedback provision using domain-independent proximity measures.